As Avarice mentioned, it gained him a lot of book sales. It's doubtful, but who knows, given his renewed interest in signing his autograph. I've just had a thought- all the people Harry addressed Lockhart's fan-letters to during his detention- imagine their reaction if they knew the Boy-Who-Lived had addressed their letters. As Hagrid said, he was the only applicant. Defence against the Dark Arts isn't something that could be omitted from the Hogwarts curriculum- it was one of the core subjects. I think it's likely Dumbledore had his suspicions about Lockhart, however, he could at least impart some information, even if second hand rather than from the horses mouth, so to speak. I believe she was swayed by a number of things, his appearance, the things he claimed to have done and the fact that he had books written about them, the fact that she held respect for her teachers. The first two would have made her admire him and the last two would have made her very much inclined to believe him - she trusted in books and would not believe ill of a teacher without evidence. Interesting that in CoS, Ginny was deceived by a book, while many others were also deceived by fraudulent books. While the chances of him being relativley sane are small, I'd like to see him put to justice. Come on, he modified the memories of several great witches and wizards, pretending to have accomplished their good deeds. Even worse, he attempted to do the same to two young boys! I don't think he was funny, but hideous beyond doubt. That's a good point you bring up -and one that's often overlooked in discussing the farce that is Lockhart's attempt at teaching and impressing. Not to mention, he would have left Ginny to die. He's quite an unpleasant character, imo, due to his disregard for students who were to be in his care and how casually he talks of tracking people down and modifying their memories. Last edited by FurryDice; November 22nd, 2009 at 2:38 am. He doesn't have much to recover in terms of memory, other than fraud. He's probably better off making a fresh start. Dumbledore tends to look for the best in people. Because she was a young naive girl. Lockhart did some pretty dirty stuff, true, but the way Jo wrote his character makes you forget that. He's so over the top, you know from the first time he appears he's a big phony but you roll with it anyway. I believe being a Hogwarts professor (and with Harry as a student) is a nice thing to put into a wizard CV. First, there were no other candidates. And I'm asking myself if everyone really knew he was a fraud before he started teaching. I mean, his books were based on the real knowledge - he was stealing it from good, competent wizards. He probably saw the opportunity to increase his popularity with a new generation, sell more books, increase peoples knowledge of him with all the books, quizzes and class discussions about his exploits. He might even have started to believe in his own fabrications as to his abilities. Dumbledore was having trouble finding candidates for the job. Straight away she respects teachers. She was perhaps a bit naive, and initially blined by his achievements and knowledge (perceived), charm and looks. Excellent point. Lockhart was prepared to leave Harry and Ron in the mess he ended up in, then leave Ginny to die. I agree with UselessCharmMaster's assessment. Firstly, I get the sense that being a Hogwarts professor is quite a prestigious position and being one would do a lot to boost Lockhart's image. Secondly, before Rita Skeeter started painting him as an attention-seeking lunatic, I think any positive association with Harry was a good thing for someone. We saw Fudge kind of sucking up to him in PoA IMO, Draco tried to get Harry to be friends with him etc.. I think so. IIRC he seems to be recovering somewhat. It seems that people generally recover from the effects of Memory Charms, but the time it takes to recover depends on how powerful the charm is. A very powerful one might take months or years to recover from. Then again, Lockhart was trying to get Harry and Ron to lose their minds. So maybe he was trying to wipe their memories completely? In that case, I don't know if Lockhart will ever remember who he is. As others have said, there was no one else for the job according to Hagrid. I dunno if he was really a threat to the students. No one knew that the Chamber of Secrets would be opened when Lockhart was hired, and I don't think even Dumbledore knew just how incompetent Lockhart was at the time of hiring. I could see that he would be a threat in the sense that they wouldn't learn any DADA and therefore be unprepared to deal with real dangers. I think she was just a naive 12 year-old girl. Hermione's allowed occasional lapses in judgment. It isn't that she naturally respects teachers. The previous year we saw her revise her opinion of Snape after seeing him (apparently) jinxing Harry's broom. Yet, she doesn't revise her opinion of Lockhart after Lockhart deboned Harry with his incompetence. And in OotP she makes it abundantly clear that a position of "professor" isn't enough to make her respect Umbridge. Has it struck anyone else what an enormous contrast Lockhart was with Lupin, the following year's DADA professor? I don't know if that juxtaposition was intentional on Rowling's part, but it is certainly a powerful one IMO. That's a good point, a Professor at Hogwarts, approved by Dumbledore, would certainly be a prestigious addition to his achievements. I think any positive association with Harry was a good thing for someone. A good association/connection with Harry would have improved his image, giving him guidance and mentoring him, kind gestures, etc. I think Hermione did a have a certain ingrained (taught to respect them) respect for teachers authority, unless they're like Umbridge. I haven't read the book in little while, but I guess, the difference between Snape and Lockhart, is that Snape was proved to have been trying to save Harry's life, Lockhart did nothing to inspire her to reconsider revising her opinion as he continued to be incompetent and then endanger Harry, Ron and Ginny's welfare. Imo. ETA: Hermione had little respect for Trelawney, but again that was due to her belief that the teacher was incompetent and a fraud, in other words not good enough for the job/profession. Imo. Last edited by Annielogic; February 8th, 2010 at 6:28 pm. I think Hermione does have a certain ingrained respect and trust for teachers authority, unless they're like Umbridge. I haven't read the book in little while, but I guess, the difference between Snape and Lockhart, is that Snape was proved to have been trying to save Harry's life, Lockhart did nothing to inspire her to reconsider revising her opinion as he continued to be incompetent and then endanger Harry, Ron and Ginny's welfare. Imo. Quidditch, Pg 192 American paperback "Rubbish," said Hagrid again. "Snape's a Hogwarts teacher, he'd do nothin' of the sort." "So why did he just try and kill Harry?" cried Hermione. The afternoon's events certainly seemed to have changed her mind about Snape. Ah, gotcha! I thought you meant Hermione revising her opinion after her thinking Snape was trying to hurt Harry, versas revision of her opinion after Lockhart's additional mess ups. Last edited by Annielogic; February 8th, 2010 at 6:56 pm. Probably saw a chance to spruik some more books. Doubt it. He'll be signing autographs in St Mungos till his dying day. Honestly? I believe Dumbledore was taken in by him at first. You can say what you like, but at the end of the day Dumbledore made mistakes like any other man, only, as he himself said, his mistakes tend to be disproportionately larger. Of course, he realised soon enough that he was a ** artist. Plus, as Hagrid said, he was the only person who wanted the job. I don't buy the theory that he was put to show the students what a bad teacher was capable of. Dumbledore liked to test his students (the trio in particular) but no way would he sabotage their education in such a way with complete intent. Cause that's what 13 year old girls do. As smart as Hermione was, she isn't immune to all the stupidity that comes with teenagers. You're absolutely right. I think that Lupin (independently of his role in the whole story) comes in PoA as a pleasnat surprise - I mean, hey, there can be a nice and competent DADA teacher! Yes, if you compare the poor, ill-looking, shabby Lupin with Lockhart and his beautiful robes, radiant smile and... err... shiny wigs... , this is really a CONTRAST! I think it was a way to add to his resume as a daring and talented fighter against the Dark Arts. He is always going on about his books, his membership in societies, his awards, etc. This was supposed to be just another laurel in his crown. I do not think so. We see him nearly 3 years later in OotP and I do not see much improvement. I am not sure Dumbledore knew Lockhart's modus operandi before he hired him. He might have considered Lockhart's adventures mere fiction, and so did not have a reason to suppose he'd be a real danger, as opposed to merely an annoying waste of time. The enormous contrast that always struck me was with Severus Snape, actually. Rowling seems in CoS to go out of her way to out them together in scenes, most notably "The Duelling Club". I think this was partly for comic effect. It was very successful in my opinion, anything from Harry's description of the duel to the sight of Snape smirking at portraits of Lockhart in curlers to Lockhart's suggestions of how Snape might join in Valentine's Day festivities were great moments and scenes. But I think there was a serious point to this as well. Lockhart in the duel is very showy, dressed in the special costume, and holding forth at length about his expertise. Snape just blows him off the platform when it is time to duel. It's substance over show. Similarly we see Lockhart talk a big game about the monster, but clearly he could not care less about Ginny. Snape says nothing, but we see the brief moment in which his knockles tighten on the chair-back when the teachers learn the news. Exactly. Lockhart was beautifully dressed, handsome, a celebrity and of course, cartoonishly conceited. He turned out to be a complete coward and fraud who taught the second-years nothing. Lupin meanwhile had poor, shabby robes, was showing signs of premature aging, and far from being a celebrity, turns out to be a complete outcast. As a teacher, the students appear to learn quite a lot from him, and more importantly, he teaches Harry how to conjure a Patronus. In later books, of course, we see that Lupin knows a bit more about dueling than Lockhart. Could these two have been more different? I was thinking more in terms of the DADA teachers. That's an interesting point too though. Last edited by halfbreedlover; February 9th, 2010 at 7:41 pm. I think you're all making good points. The contrast with Snape is brought out as a sort of sharp relief in CoS (and let's not forget that Snape does ultimately become one of the DADA teachers). But the contrast with Lupin - Lockhart's DADA successor - is also to the point. I think it's a bit more subtle than the Lockhart/Snape contrast because it's not hitting you in the face in the same book. At any rate, Lockhart is all show and a fraud, while Lupin, like Snape, is anything but show. Of course, they are quite different, but neither one of them is out to draw some sort of freakish attention to himself the way Lockhart does. And both of them are able at defending against the Dark Arts. I actually believe that Jo tried to bring Lockhart and Snape together as much as she did partly for comic purposes. It's hard not to laugh at the thought of those two together. Snape and Lockahrt = magic's Odd Couple. In my opinion, "The Duelling Club" was much the same scene. 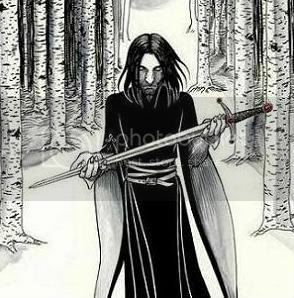 Snape's no slouch at duelling either. Though I suppose his reaction would perforce have been less physical and magical, and more sarcastic...so I guess I agree, that would be a great scene. I loved Lockhart -I thought he was hilarious, vacant and brought some needed hilarity to goings on. On the serious side though and getting back to the questions posed here, he was a disaster as a teacher, he put students in danger and taught them absolutely nothing. The only reason I can see why Dumbledore hired him is that it was either Lockhart on his terms or as we saw later - someone from the Ministry on someone elses terms. I think a lot of Lockhart was down to Dumbledore and the control he exerted and how he tried to orchestrate things at hogwarts for a very long time. Other than being skilled with memory charms (except with Ron's wand), the only other skill Lockhart posessed as far as I could see was the ability to spin a yarn. On one hand, this is great and entertaining but as a teacher especially for a DADA not a very reassuring one as the students could have (and were) at risk. I don't think the Ministry had any real power over Hogwarts pre-OoTP. Remember, beck then Fudge was always asking for Dumbledore's help - I can't see him telling Dumbledore who to hire. Maybe so but given the rumours about the post and Lupin being convinced to take up the post in POA there's no doubt it was bottom of the barrel stuff for that year. But Hagrid said Lockhart was the ONLY man for the job. I'm guessing no one else submitted an application or anything, except for Lockhart, and they needed a teacher, so Lockhart got the job. Though maybe Dumbledore could have taught DADA himself? He used to teach Transfiguration, after all.